About Us - Flextron Inc.
Flextron was founded in 1970 by a father and son team (George Sr. & George Jr.). George Sr worked at several companies in the Flexible Metal Hose business since 1933. The first machines were built and run in the family’s garage. Over time, the company outgrew three different locations and ultimately settled in the current location in Addison, Illinois. 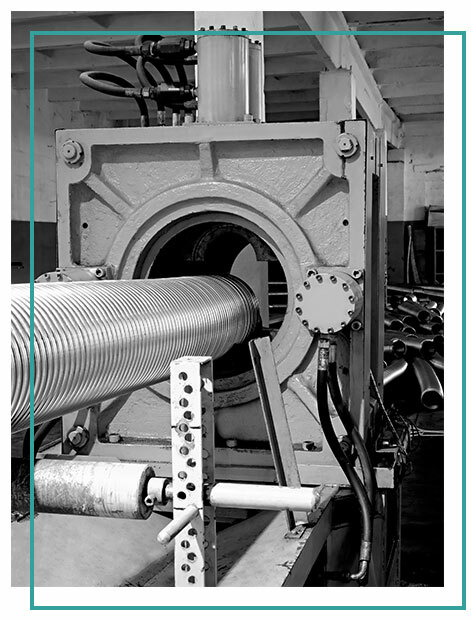 Drawing on experience going all the way back to 1933, Flextron has custom built all of the hose making machinery that is in use today. All tooling is made and heat treated in house which gives Flextron quick turn around and great flexibility when working on custom jobs.